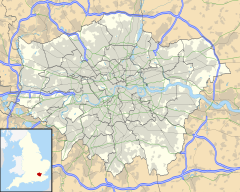 The Crystal Palace transmitting station, officially known as Arqiva Crystal Palace, is a broadcasting and telecommunications site in the Crystal Palace area of the borough of Bromley, England (grid reference TQ339712). It is located on the site of the former television station and transmitter, operated by John Logie Baird, from 1933. The station is the fifth-tallest structure in London, and is best known as the main television transmitter for the London area. As such, it is the most important transmitter in the UK in terms of population covered. The transmitter is owned and operated by Arqiva. The station was constructed in the mid-1950s among the ruins of the Crystal Palace. The Aquarium on whose site it stands was destroyed in 1941 during the demolition of the Palace's north water tower. (John Logie Baird's earlier transmitter and TV studios were a separate development at the other end of the Palace and perished with it in 1936.) Its new 219-metre (719 ft) tower was the tallest structure in London until the construction of One Canada Square at Canary Wharf in 1991. 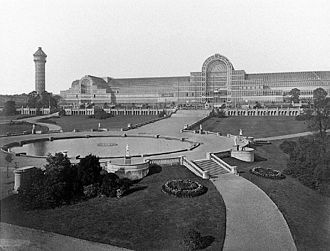 The first transmission from Crystal Palace took place on 28 March 1956, when it succeeded the transmitter at Alexandra Palace where the BBC had started the world's first scheduled television service in November 1936. 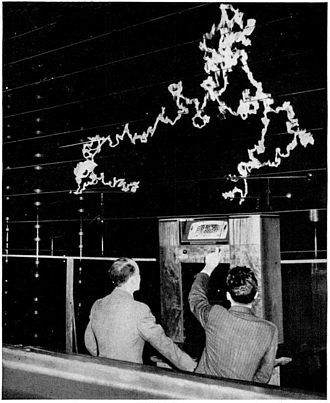 In November 1956 the first colour test transmissions began from Crystal Palace, relaying live pictures from the studios at Alexandra Palace after BBC TV had closed down for the night. In May 1958 the first experimental Band V 625-line transmissions started from Crystal Palace. This tower was designed and built for BBC by British Insulated Callender's Construction Co Ltd with steelwork fabrication by Painter Brothers Ltd, Hereford. 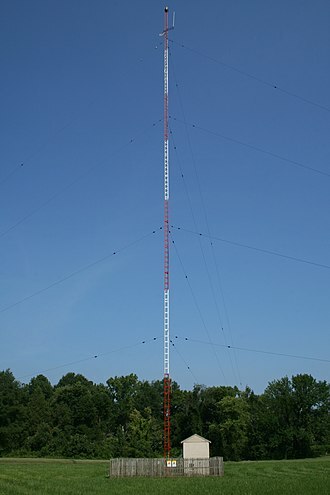 The tower was required to transmit television programmes with good reception in 1957 and has a total height of 708 feet (216 m). The base of the tower is 120 feet (37 m) to a side and it rises in twelve diminishing panels to a 14.5 feet (4.4 m) square platform at a height of 429 feet (131 m). The tower was constructed using two masts as derricks, one 230 feet (70 m) and the other 125 feet (38 m) high in conjunction with a winch. A 16mm film was produced of the construction by BICC at the time which was available on loan from the BICC Film Library. The transmitter was the first in the UK to broadcast (experimentally) on 625 lines (UHF) in 1964, which it did on Channel 44. On 18 July 1986, with the First Night of the Proms on BBC2, the transmitter became the first in the world to transmit stereophonic sound using the NICAM digital sound system. When built it transmitted BBC Television on the VHF 405-line system; the Croydon transmitter two miles away had been built some months earlier to broadcast ITV. When UHF transmissions started in 1964, first the new BBC2 and later both ITV and BBC1 were transmitted from Crystal Palace. 405-line VHF television was discontinued in 1985, and all television broadcasts from Crystal Palace were on UHF. Crystal Palace did not transmit analogue Channel 5: this (alone) came from Croydon. Croydon had reserve transmitters for ITV and Channel 4, used in the event of a fault or maintenance at Crystal Palace. The BBC decided that a complete reserve was also a good idea and all four services became available from Croydon if required. The station carried the London regions of BBC One, BBC Two, ITV1 and Channel 4 in analogue, each with an effective radiated power of 1 MW, before the digital switchover took place during April 2012, as well as all six digital terrestrial television multiplexes. These had an ERP of 20 kW before switchover and 200 kW after, with considerable beam tilt to the south and east. With digital switchover completed all services come from Crystal Palace again, but because of the site's importance Croydon will be able to duplicate the PSB multiplexes in case of emergency. Although DTT requires far less power to achieve the same coverage as analogue TV, this 17 dB difference[dubious – discuss] is too large to ensure comparable coverage. The station therefore has a range of about 30 miles (48 km) for DTT, compared with about 60 miles (97 km) for analogue. 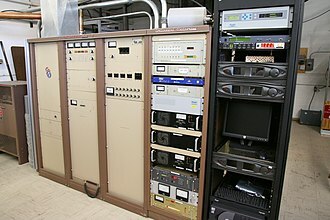 It is also used for FM radio transmission of local radio stations BBC Radio London, Radio X, Capital Xtra and Absolute Radio, and a low-powered relay of the four BBC national FM services and Classic FM. It also has medium wave transmitters on 558 kHz (Spectrum Radio), 720 kHz (BBC Radio 4) and 1035 kHz (Kismat Radio). Since the tower is grounded, a wire aerial span close to it is used for the MW services. Since 1995 the tower has been one of five London transmitters for the BBC DAB multiplex. This was joined in 1999 by the Digital One DAB service, and a further local DAB multiplex has since started transmitting. In May 2006 it began broadcasting the first terrestrial HDTV signals in the UK to a trial group of 450 London homes to test HD broadcasts by the BBC, ITV, Channel 4 and Five, to assess the viability and potential problems of future nationwide HD broadcasting. On 2 December 2009 the site entered service as one of the first DVB-T2 transmitters in the world, carrying a variant of the BBC's Multiplex B broadcasting high-definition TV services. The Government's plans for digital switchover were based on the use of almost all current analogue TV transmitter sites. Crystal Palace remains a key part of the network since analogue was switched off in the London area in April 2012. In July 2007 it was confirmed by Ofcom that Crystal Palace would remain an A group transmitter after DSO (digital switchover). This what partially reversed with the 700MHz Clearance that resulted in the use of Channels 55 & 56 for digital television both outside the A Group. The transmitter is only one of two (the other being the ITV Granada transmitter at Winter Hill) that now solely provides high power ITV and BBC services for the whole of their region, although still supported by the usual network of relays. Between opening in 1974 and January 1982 the main transmitter at Blue Bell Hill broadcast ITV London signals to much of north and central Kent. However reorganisation of franchises saw Blue Bell Hill transferred to a new dual-region of ITV South and South-East and from 1 January 1982 Blue Bell Hill began broadcasting ITV Television South (better known as TVS). Bluebell Hill now transmits ITV Meridian and BBC South East. On 18 April 2012 a public lighting display was performed from the tower to mark the last day of analogue TV broadcasts from the transmitter. These frequencies were used by Lots Road until Tuesday 25 September 2007. BBC Two analogue was shut down on UHF 33 on 4 April 2012 and ITV1 was moved from UHF 23 into its frequency temporarily. The other analogue services shut down on 18 April 2012. ^ a b "NGW planning application". Bromley Council planning portal. 23 April 2008. Retrieved 13 September 2008. ^ Pescod, David FLS (10 February 2005). "Correspondence" (PDF). The Linnean. London: Linnean Society of London. 21 (2): 15. Archived from the original (PDF) on 19 October 2011. Retrieved 1 August 2012. ^ Elen, Richard G (5 April 2003). "Baird's independent television". Transdiffusion Broadcasting System. Retrieved 5 April 2015. ^ Wharton, W.; Platts, G. C. (February 1959). "The Crystal Palace band I television transmitting aerial" (PDF). BBC Engineering Division Monograph. BBC: 5. Retrieved 12 October 2013. ^ "The BBC's Crystal Palace Television Tower". Construction Bulletin. British Insulated Callender's Construction Company Ltd (11). December 1957. ^ "700MHz-Clearance". ATV. 12 July 2017. Retrieved 5 June 2018. 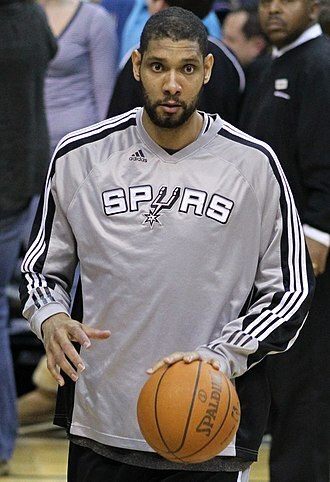 ^ Revoir, Paul (19 April 2013). "Crystal Palace transmitter lights up the night sky as it broadcasts analogue signal for the last time after 56 years". Daily Mail. Retrieved 15 June 2013. ^ "Switch Over Night". Arqiva website. Arqiva. Retrieved 15 June 2013. Wikimedia Commons has media related to Crystal Palace Transmitter. Digital terrestrial television is a technological evolution of broadcast television and an advancement over analog television. A terrestrial implementation of digital television uses a aerial to broadcast to a conventional television antenna instead of a satellite dish or cable television connection. The amount of data that can be transmitted is directly affected by channel capacity, the modulation method in DVB-T is COFDM with either 64 or 16-state Quadrature Amplitude Modulation. In general, a 64QAM channel is capable of transmitting a bit rate. 16 and 64QAM constellations can be combined in a single multiplex, the DVB-T standard is not used for terrestrial digital television in North America. Instead, the ATSC standard calls for 8VSB modulation, which has similar characteristics to the vestigial sideband modulation used for analog television. This provides considerably more immunity to interference, but is not immune — as DVB-T is — to multipath distortion, both systems use the MPEG transport stream and H.
262/MPEG-2 Part 2 video codec specified in MPEG-2, they differ significantly in how related services are encoded. DTTV is received either via a digital set-top box, TV gateway or integrated tuner included with television sets, some set-top-boxes and TV gateways include digital video recorder functionality. This is quite common in the UK, see external links, indoor aerials are even more likely to be affected by these issues and possibly need replacing. Main articles, List of digital television deployments by country, Digital television transition Afghanistan started digital transmissions in MPEG-4 on Sunday,31 August 2014, Afghanistan adopted DVB-T2 system for digital television. India adopted DVB-T system for television in July 1999. The first DVB-T transmission was started on 26 January 2003 in the four metropolitan cities by Doordarshan. Currently the terrestrial transmission is available in digital and analog formats. 4 high power DVB-T transmitters were set up in the top 4 cities, an additional 190 high power, and 400 low power DVB-T2 transmitters have been approved for Tier I, II and III cities of the country by 2017. Winter Hill is a hill on the border of the boroughs of Chorley, Blackburn with Darwen and Bolton, in North West England. It is located on Rivington Moor, Chorley and is 1,496 feet high, part of the West Pennine Moors, it is a popular walking area, and has been the site of mining activity, aeroplane disasters and murders. Its prominent position made it the site for the Winter Hill TV Mast. There are a number of other telecommunication masts and towers around the summit and side of the hill for mobile phones, Professional Mobile Radio users and emergency services. Lancashire Constabulary was the first to use the site for one of their stations in 1950, they had to build the road. Paths to the lead from Belmont & Rivington in Chorley Borough, as well as Horwich. The summit can be reached via a walk from the top of a road pass 1¼ miles west of Belmont. The hill is a feature on the skyline for most of the borough of Chorley. Winter Hills topographic prominence results in it being classified as a Marilyn and it offers views over the Greater Manchester Urban Area, including Manchester city centre, the Civic Centre in Oldham, Werneth Low and Bolton. On a clear day the summit offers a view of four national parks - The Lake District, Yorkshire Dales, Peak District, the Rivington area contains remains of Lever Park and the private gardens constructed for William Lever, 1st Viscount Leverhulme in which several listed structures remain today. The bare hill top was covered by woodland that may have been destroyed by fire and it is thought that the hill was once inhabited. There is a Bronze Age round cairn dating from 1600–1400 BC on the hill, a stone axe dating from 2500 BC has been found in the area in the River Douglas in Tigers Clough. A flint knife and two arrowheads were discovered, Two burial mounds dating from the Bronze Age are located near the peak. On 24 March 1957, two men discovered curved lines of stones sticking out of the forming a two feet high wall which surrounded a raised area in the middle. In July 1958, a group from the University of Manchester excavated the central only to find it had been excavated 250 years earlier. The site was thought to have originated from 1500 BC in the Middle Bronze Age, the second mound was found higher up the hill on the southern edge of Noon Hill. BBC London is the BBC English Region producing local radio, television and online services in London and parts of the surrounding area. 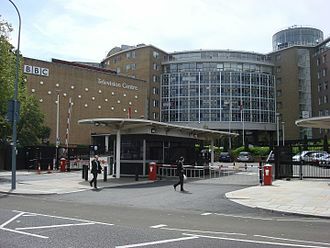 Its output includes the daily BBC London News and weekly Sunday Politics on television, the regions headquarters are situated in the new eastern extension of Broadcasting House. The flagship programme is broadcast between 18,30 and 19,00 each weekday evening, following the end of the BBC News at Six and is presented by Riz Lateef. Comparisons are inevitably made to the commercial TV regional competition, in this case ITV News London, BBC London can be viewed in any part of the UK on digital satellite channel 974 on the BBC UK regional TV on satellite service. BBC Radio London combines speech and music based programmes 24 hours a day, Broadcasting across London on 94.9 FM, DAB, Virgin Media Channel 930, Sky Channel 0152, Freeview Channel 721 and online. The station was known as BBC London Live, GLR. The current Breakfast show presenters are Penny Smith and Paul Ross, the Breakfast and Drivetime shows feature a wealth of local London news and comment with roving reporters out and about. Other programmes such as JoAnne Good or Robert Elms include varied speech and music with local news bulletins every half-hour. The travel news on BBC Radio London is updated at 31 and 58 minutes past each hour during off peak times and its one of the few radio stations to have access to TfL cameras. The travel news online is updated from an independent travel information supplier and this data is fed from their main system onto BBC Londons website, via the BBC Travel News portal. The online section has features on aspects of travel in London. Sport is a major part of the radio schedule, with a 3-hour sports based programme each weeknight evening. This is considerably more than most other BBC local radio stations and reflects Londons large number of sporting teams, BBC London News launched on 1 October 2001 following changes to the coverage areas of BBC transmitters allowing for the establishment of new editorial areas. BBC London, as it came to be called, replaced the long-running Newsroom South East, there were many incarnations of regional news programmes in this area before the current programme was introduced in 2001. Alexandra Palace television tower, June 2012.